Is Obama’s ‘American Dream’ Right for You? No amount of money is going to be enough to make it right for a family who has had their piece of the American Dream wrongfully taken. Announcing how taxpayers would subsidize his version of the dream, Obama said, “I’ll continue to do everything in my power,” to silence opposition when he promised the straw man’s family $1,000 a year to keep owning the house they live in through nearly $25 billion in taxpayer subsidies for his Home Affordable Modification Plan (HAMP). What Obama didn’t say is that this is the same, disappointing HAMP from 2009, when he started his term in the wake of the housing crisis but made a health-spending plan his top priority. It’s also when he promised an 8% limit on unemployment due to the housing crisis that he gave a lower priority than government spending. The big problem with HAMP is that it created a market incentive for banks to move houses through foreclosure. Now taxpayer subsidies to many of the same banks that got bailout money may change their incentive in time to save his reelection campaign. But that won’t fix HAMP’s overall lack of incentive compatibility, a system in which each individual has a personal incentive to act in accordance with some overall interest. By saying home ownership is part of every American Dream and making taxpayers pay banks with incentive to support such a policy, Obama may be hurting the wider economy with factors related to the American economy becoming more like Spain, Portugal, or Italy and less like Denmark, Germany, or Switzerland, the latter keeping their AAA rating. 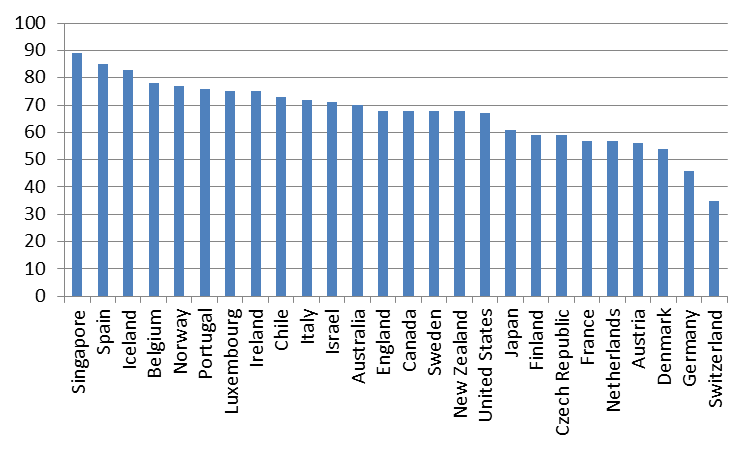 Other developed countries have been able to sustain comparable or even higher rates of home ownership, without the elaborate subsidies and policy apparatus that has characterized U.S. housing policy and mortgage finance policy. And that still doesn’t consider that the new economy also demands a supply of flexible workers, who don’t have an investment in the type of home ownership that Obama supports but that can lead a family into what economists define as the poverty trap. Promote the general welfare through housing policy for 4% growth in the economy. Acharya, Viral V. Guaranteed to Fail: Fannie Mae, Freddie Mac, and the Debacle of Mortgage Finance. (Princeton: Princeton University Press, 2011). Bannock, Graham, R. E. Baxter, Evan Davis, and Graham Bannock. Dictionary of Economics. The Economist Books. (New York: John Wiley & Sons, 1998). Engel, Kathleen C., and Patricia A. McCoy. The Subprime Virus: Reckless Credit, Regulatory Failure, and Next Steps (New York: Oxford University Press, 2011). Obama, Barack. “Press Conference by the President.” The White House (March 6, 2012). This entry was posted in Domestic Tranquility, General Welfare and tagged Culture, Domestic Policy, Economy, Financial Crisis, Fiscal Policy, Housing, Jobs, Leadership, Middle Class, Recession, Unemployment by Ronald Grey. Bookmark the permalink.